These are exciting times for both investment law and EU law professionals. The EU’s recent moves in international investment law have become the topic of much discussion, be it the conclusion of a new generation of FTAs with investment chapters (here, here, here), the Investment Court System (here, here), the plan to create a Multilateral Investment Court, or the faith of intra-EU BITs. In this short exposé I will briefly comment on the much-awaited judgment of the Court of Justice of the EU (CJEU) in Case C-284/16, Slovak Republic v Achmea BV, which seems to seal the fate of investor-State arbitration (ISA) under intra-EU BITS. One could say that intra-EU BITs have become somewhat of a legal ‘anomaly’ from the perspective of EU law. Numbering close to 200, they were mainly concluded between Central and Eastern European states, prior to their accession to the EU, and older members of the EU. After the former acceded to the EU in 2004, 2007, and 2013, legal professionals soon started wondering whether these BITs between now EU Member States were compatible with EU law. This legal question had very important practical implications since EU investors became avid users of intra-EU BITs. For example, EU investors brought 13 out of 14 ISDS cases against Hungary under intra-EU BITs or/and the Energy Charter Treaty (ECT). Such ‘anomalies’ were one of the reasons why the EU Commission embarked on a campaign to end these agreements, even bringing infringement proceedings against several Member States to terminate their intra-EU BITs. What happened in the Achmea case? Prior to the dispute before the CJEU, the Achmea case concerned a dispute between a Dutch investor and the Slovak Republic. The Dutch investor initiated an UNCITRAL arbitration against Slovakia in 2008, pursuant to Article 8 of the Netherlands-Slovakia BIT (1992, NL-SK BIT). The investor claimed that Slovakia’s 2006 measures - to partly reverse the liberalization of the private sickness insurance market - had caused damages to its investments in Slovakia. During the arbitral proceedings, Slovakia raised an objection against the jurisdiction of the arbitral tribunal, arguing that after its accession to the EU in 2004, Article 8 of the NL-SK BIT became incompatible with EU Law. The arbitral tribunal dismissed this objection in its 2010 Award on Jurisdiction, Arbitrability and Suspension (pp. 68-72). In 2012, the arbitral tribunal rendered its Final Award and ordered Slovakia to pay damages in the amount of 22.1 million euros to the investor, for breaching the FET standard under the BIT and the obligation to ensure the free transfer of payments. Slovakia brought an action before the Higher Regional Court of Frankfurt to set aside that arbitral award, which was later appealed to the Federal Court of Justice of Germany. The latter referred a set of questions to the CJEU under the Article 267 TFEU preliminary reference procedure. The German Court asked three questions. First, whether Article 344 TFEU precluded the application of a provision providing for ISA under an intra-EU BIT. Second, in case of a negative answer to the first question, whether Article 267 TFEU would preclude the application of such a provision. Third, in case the first two questions were answered in the negative, whether Article 18 TFEU precluded the application of this provision. Before laying out the main arguments of the Court, it is important that investment lawyers understand where this judgment fits into in the grand scheme of things. A recurring topic in the CJEU’s case law is whether adjudicative mechanisms outside the EU legal order are compatible with EU law. These cases can find their way before the CJEU either as preliminary references from Member State courts – such as in the present case – or as requests made by the Member States or the major EU institutions under Article 218(11) TFEU for an opinion on whether an international agreement is compatible with EU law. The underlying idea of these cases is that, in principle, EU law does not prohibit the EU and its Member States to set up or participate in extra-EU courts, provided these courts do not interfere with the autonomy and special features of the EU legal order. Because of this latter condition several international courts have not received the CJEU’s blessing, such as the failed attempt to create a Court for the European Economic Area (which led to the creation of the EFTA Court), the failed attempt to create a European Patent Court, and the EU’s failure to accede to the European Convention on Human Rights. In other words, before investment lawyers might think that the CJEU is hostile towards investor-state arbitration, they need to understand the bigger picture that paints a CJEU, which is quite protective of its own ‘turf’ against other international tribunals and courts. Probably the only reason why the CJEU never had a problem with the compatibility of the WTO DSM with EU law is because no one asked the Court about this issue before the WTO Agreement entered into force. (In Opinion 1/94, on the competence to conclude the WTO Agreements covering services and intellectual property, the Commission did not ask this question). Thus, considering this intricate case law, what first strikes the eye in the present case is the succinct way in which the CJEU decided it. Unlike the extensive Opinion of Advocate General Wathelet, which found no incompatibility between the ISDS mechanism under the NL-SK BIT and EU law (commentary here), the CJEU in the present case found such an incompatibility. The CJEU held that the first and second questions referred to it by the German Court must be answered in light of several considerations. First, it is long standing case law that an international agreement cannot affect the allocation of powers under the EU Treaties and the autonomy of the EU legal system. This is enshrined in Article 344 TFEU, under which Member States undertake not to submit a dispute that involves the interpretation or application of the EU Treaties to a method of dispute settlement other than those provided for in the EU Treaties (para 32). According to the CJEU, the autonomy of EU law – with respect to both Member State law and international law- is justified by the essential characteristics of the EU legal order and its constitutional structure, such as the primacy of EU law and direct effect (para 33). Second, Member States share a set of common values that justifies the existence of mutual trust and Member States are obliged by the principle of sincere cooperation under Article 4(3) TEU to ensure the application and respect of EU law. Third, the EU judicial system – comprised of the CJEU and national courts - is based on the need to ensure its consistency and uniformity, a keystone of which is the preliminary reference system under Article 267 TFEU (paras 35-37). In light of these considerations, the CJEU predominantly based its arguments on the need to ensure the autonomy of EU law, its uniform interpretation and effectiveness. The Court held that Article 8 of the NL-SK BIT allowed an arbitral tribunal to take into account, as applicable law, the law of the contracting parties and international agreements between them, which also includes EU law. Thus, such an arbitral tribunal could be called “on to interpret or indeed apply EU law”, including the freedom of establishment and free movement of capital (para 42). It followed that the Court had to ascertain whether such arbitral tribunals are situated in the EU judicial system, which would ensure that their decisions are subject to “mechanisms capable of ensuring the full effectiveness of the rules of the EU” (para 43). The Court found that this was not the case, since the arbitral tribunal was not part of the judicial systems of the Netherlands or Slovakia. Therefore, it could not be classified as a Member State “court or tribunal” under Article 267 TFEU and it could not make a preliminary reference to the CJEU. The Court could also not classify such an arbitral tribunal as a court common to several Member States, such as the Benelux Court of Justice. Furthermore, the CJEU held that the awards of such a tribunal are not subject to review by Member State courts to an extent that would allow them to refer a question to the CJEU on issues of EU law raised before the arbitral tribunal (paras 50-52). The Court also differentiated between awards of commercial arbitrations and investor-state arbitrations, as the latter remove disputes from the judicial systems of the Member States and thus the EU. In conclusion, the ISDS mechanism under the NL-SK BIT could not ensure that disputes were solved in a manner that safeguarded the full effectiveness of EU law. Furthermore, such a mechanism would also call into question the principle of mutual trust between the Member States, as well as the preservation of the specific characteristics of the EU legal system and its autonomy. It is important to stress that it is not only the ‘autonomy’ of the EU legal order that was important in this case, but also the ‘uniform’ interpretation and the ‘effectiveness’ of EU law. As the CJEU highlighted, because of the very limited review of ISA awards, there is no adequate mechanism to control how those tribunals might have interpreted and applied EU law. If such a control mechanism is lacking, then Member States might very well have to enforce an award that interprets EU law in a different way than the CJEU. This, on the other hand, would result in some Member States applying concepts of EU law in a different way than others. Thus, the uniformity and effectiveness of EU law would be in jeopardy. One just needs to re-read the Achmea Award on Jurisdiction (pp. 68 and beyond) and understand why the CJEU held what it held. What the arbitral tribunal did, was to tell an EU Member State what is compatible with EU law (paras 245, 249) and what type of treatment EU law provisions cover (para 250). This is a clear interpretation of EU law, which would be very difficult to challenge by a domestic court under the New York Convention or almost impossible to do so in case of the ICSID Convention. In practice this would result in a binding interpretation of EU law, which – as the CJEU stressed out many times – is an exclusive prerogative of the CJEU. What are the broader implications of this Judgment? The importance of this judgment is evidenced by the fact that the Grand Chamber rendered it and that 16 out of the 28 Member States intervened, together with the Commission. In this short analysis, I will not tackle how this case fits into the CJEU’s existing case law on the relationship between the EU legal order and other international tribunals. Instead, I will point out the broader implications for the EU’s investment law and policy. 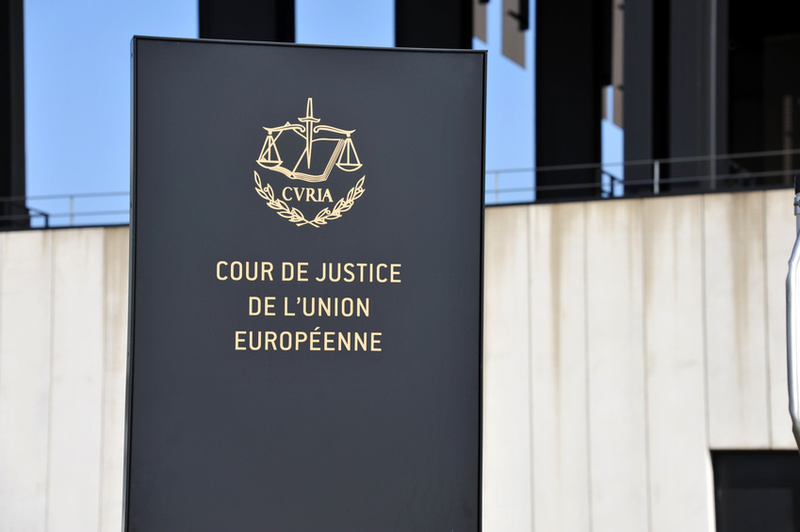 In preliminary references, the CJEU tends to use judicial economy and only answers the questions that are referred to it and those that it considers necessary to give an adequate answer to the referring national court. The CJEU chose not to answer the third question, since it answered the first two questions in the positive. Nonetheless, the implications of this judgment go beyond this specific case. While the case only concerned the compatibility with EU law of the ISA mechanism under Article 8 of the NL-SK BIT, the Court did not limit its holdings to this specific case. Instead, the language employed by the Court - for example, “a tribunal such as that referred to in Article 8 of the BIT” (49) or “arbitration proceedings such as those referred to in Article 8 of the BIT” (55) - ensures that the arguments and holdings of this case have a wider application. In other words, any ISA mechanism under an intra-EU BIT, “such as” the one under the NL-SK BIT, is incompatible with EU law. This has several broad implications. First, it means that the Member States – the ones that have not yet terminated their intra‑EU BITs and their sunset clauses – are under an obligation to ensure that they “remove” all the intra-EU ISA mechanisms that are “such as” the one in the NL-SK BIT (pretty much all of them). This obligation does not only flow from the present judgment, but also from Article 351 TFEU. This article obliges Member States to “take all appropriate steps to eliminate” the incompatibilities between their international agreements that precede their accession to the EU and EU law. The Court has interpreted this obligation to go as far as Member States having to denounce their prior international agreements. Second, this judgment also has implications for any arbitral awards rendered under these intra‑EU BITs. Since these arbitral tribunals are now incompatible with EU law, any awards rendered by them will also be incompatible with EU law. In other words, under EU law Member States will be prohibited to enforce arbitral awards of tribunals constituted under intra-EU BITs. This means that these Member States will breach their obligations under the ICSID Convention and the New York Convention. Third, what will happen to cases brought under the ECT  by the investors of one EU Member State against another EU Member State? One could argue that the ISDS mechanism under the ECT, to the extent that it is used between EU Member States and EU investors, is also incompatible with EU law. In such cases, the ECT would effectively function as an intra-EU BIT. Fourth, last year Belgium requested the CJEU for an Opinion under Article 218(11) TFEU on whether the CETA ISDS mechanism is compatible with EU law. A similar mechanism was included in the EU-Vietnam FTA as well. There are strong signals now, as I have also argued several years ago, that such a standing Investment Court might also put into jeopardy the autonomy of the EU legal order, especially the jurisdiction of the CJEU to interpret and apply EU law. It is quite possible now that the Investment Court under CETA will be incompatible with EU law. In a way, the CJEU already eased the path towards such a possibility by providing the possibility to ‘split’ the investment and trade components of EU FTAs in Opinion 2/15. Lastly, what about the Multilateral Investment Court? As is well known, the EU is pushing for such a court, which in many ways might address some of the legitimacy concerns faced by ISDS. Nonetheless, how should such a mechanism be designed so that it will also be compatible with EU law? The best tactical choice for the EU Commission would be simply not to ask the CJEU about the compatibility of such a future MIC with the EU legal order. Nonetheless, any of the other major EU institutions or the Member States are free to refer such a question to the Court.